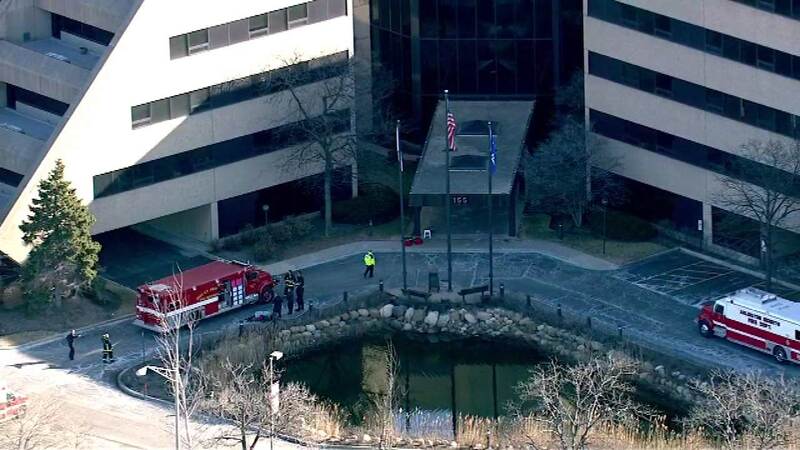 ARLINGTON HEIGHTS, Ill. (WLS) -- Firefighters and hazardous materials crews were called to the Daily Herald newspaper in northwest suburban Arlington Heights Wednesday morning after five letters were discovered with a mysterious powder and glitter. Police and fire crews were called to the building at 155 E. Algonquin about 7 a.m., Arlington Heights Police Sgt. Thomas Henderson said. The building was evacuated for over an hour. Tests found the powder was not hazardous and employees went back into the building.